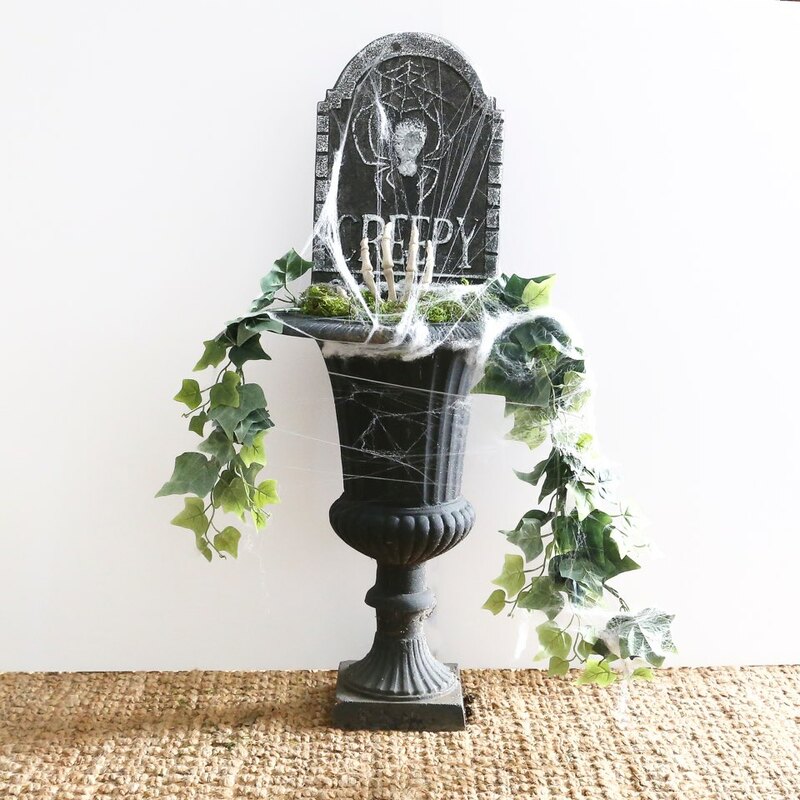 This “DIY Halloween Creeper Planter” makes the perfect addition to any spooky display. 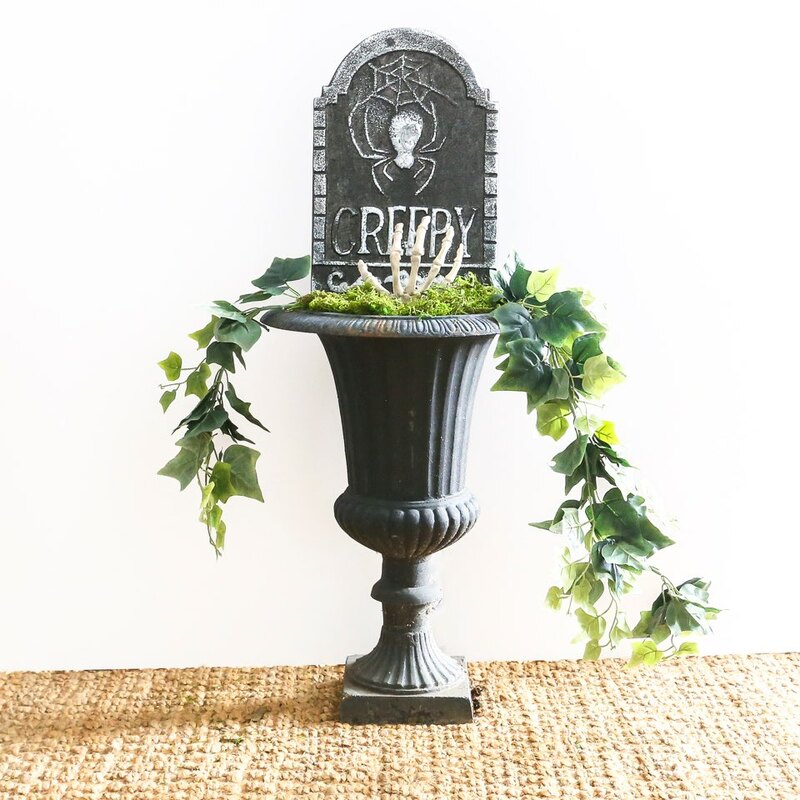 Perfect for an entryway or porch. Or modify and use a bowl for your container and place in a tabletop setting. 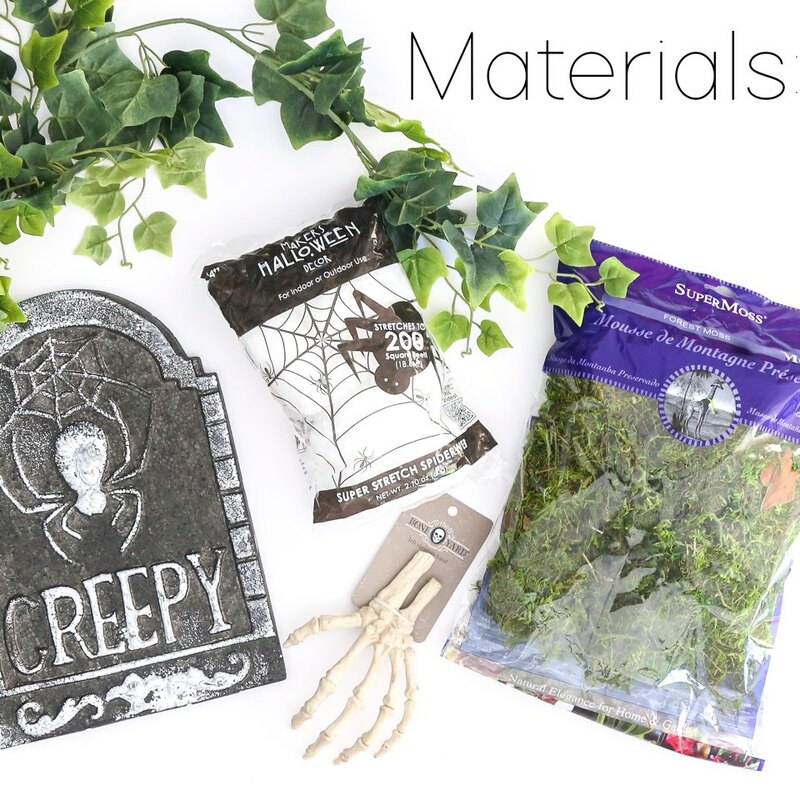 Gather your materials and get ready for a fun creepy Halloween DIY project. 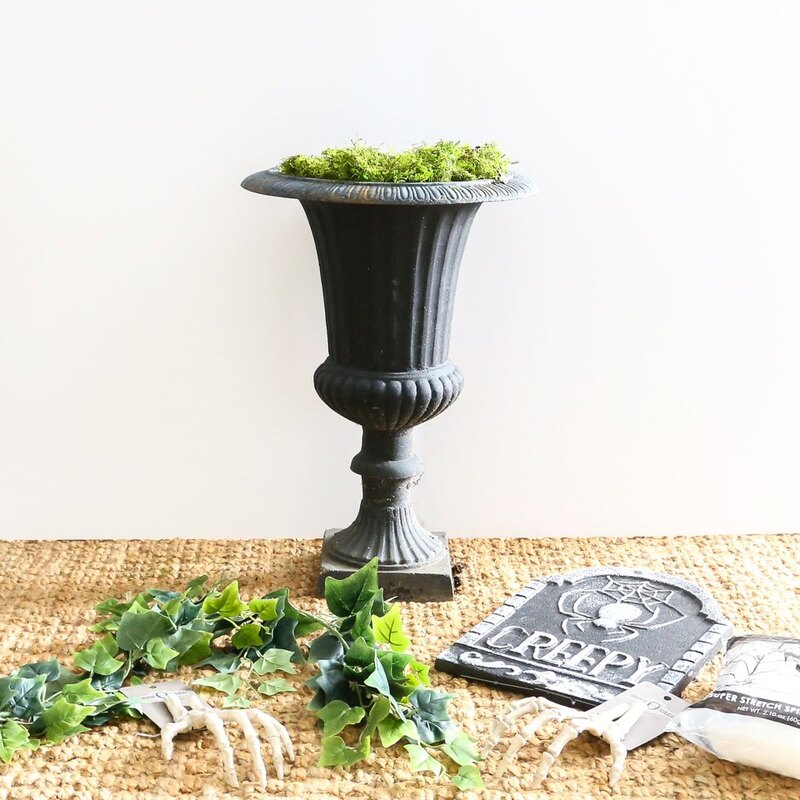 Fill your planter with dirt and top it with moss. 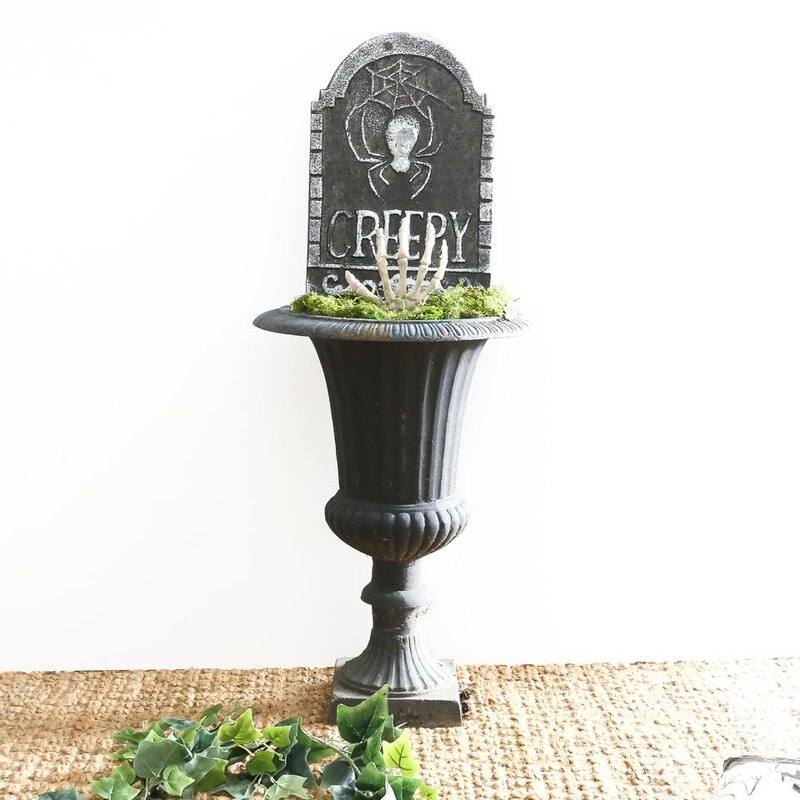 Add your foam tombstone by pushing the stakes (stakes come with tombstone) through the moss into the dirt. 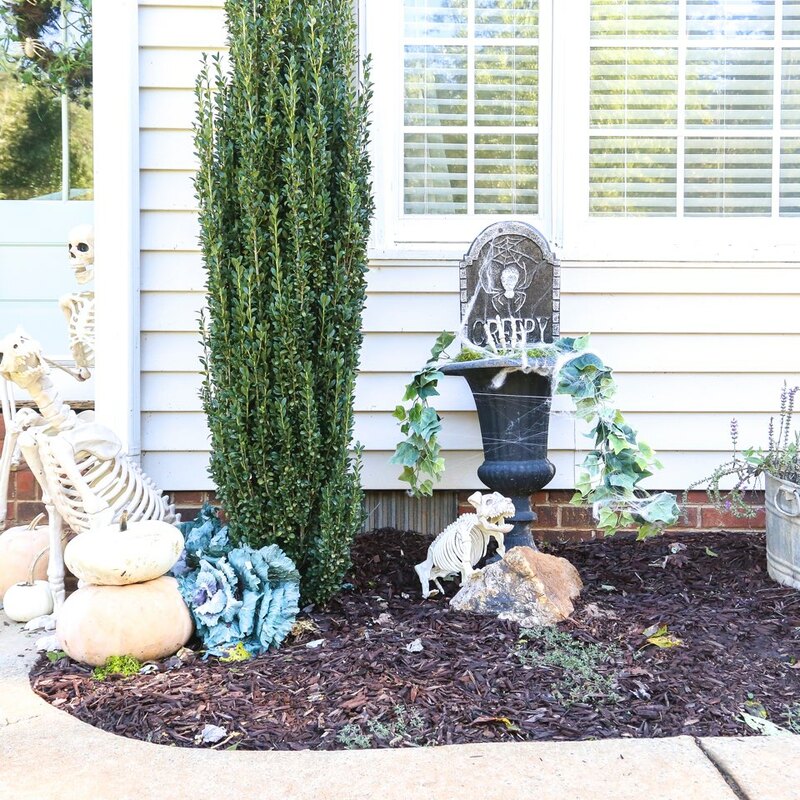 Add in your skeleton hand so it looks like it is reaching out from inside the planter. Simply push the end of the bone hand through the moss into the dirt. Next add in some vines. Take the vine garland and cut into a couple pieces. Then take the ends and push it through the moss into the dirt. Last step is adding the faux spider webs. 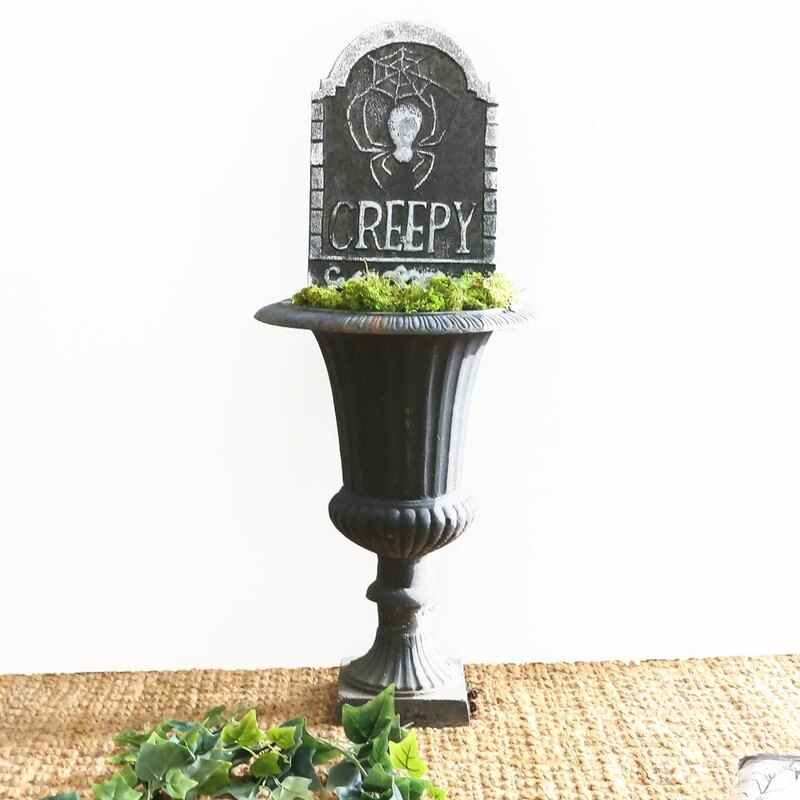 Start at the top of the tombstone and stretch it down over the hand to the edge of the planter. Then take more and stretch it around and down the vines. Dirt- to fill planter if needed.